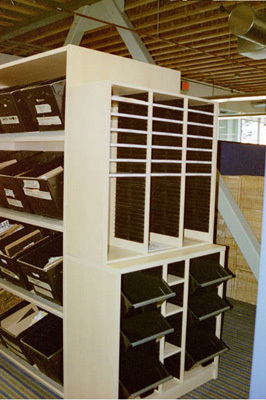 A variety of document storage options on our base and upper cabinets provide the tailored solution for your copy center, kit building or refreshment area. 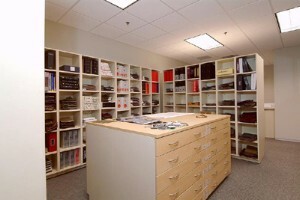 Hamilton Sorter kit building casework combines the aesthetic of built-in millwork without the extended lead times and designer liability common with custom mill-work applications. Hamilton Sorter is available on GSA schedule. Options include transparent backs and security doors, open backs for pass-through applications and platform bases to maximize worksurface area. Sorters lock into console bases or can also be wall-hung with matching cabinet storage.